On this page I provide slides of invited talks given at conferences, meetings, workshops. The slides are not necessarily self-contained but (hopefully) made sense in combination with what I said during the talk. Some of these files contain animations consisting of several individual pages. To see them animated, view the files in Acrobat Reader presentation mode (CTRL+L). All slides are prepared using the LaTeX beamer class. The style I use for the most recent talks (black background) is available on my software page. September 2018, Onsager's solution of the Ising model could have been guessed, SLC81 (Krattenthaler Fest), Strobl, Austria. pdf. August 2018, Gröbner Bases and Applications, Workshop on Theory and Practice of SAT Solving, Oaxaca, Mexico. pdf. July 2018, Symmetry Breaking for Quantified Boolean Formulas, ICMS 2018, South Bend, USA. pdf. July 2018, Checking Circuits for Integer Multiplication using Gröbner bases, ICMS 2018, South Bend, USA. pdf. September 2017, Some Lessons on Computer Algebra, BIRS Workshop on Lattice Walks, Banff, Canada. pdf. July 2017, Desingularization in Several Variables, SIAM AG'17, Atlanta, USA. pdf. July 2017, Bounds for D-finite Substitution, ACA'17, Jerusalem, Israel. pdf. July 2016, Factorization of C-finite Sequences, Waterloo Workshop on Computer Algebra 2016 (Abramov Fest), Waterloo, Canada. pdf. July 2016, No News on Matrix Multiplication, Mile Stones in Computer Algebra 2016 (Kaltofen Fest), Waterloo, Canada. pdf. February 2016, Cylindrical Algebraic Decomposition, Linz Seminar on Fuzzy Set Theory 2016, Linz, Austria. pdf. November 2015, Algorithms for D-finite Functions, JNCF'15, Cluny, France. pdf pdf (course notes). September 2015, Creative Telescoping via Hermite Reduction, SYNASC'15, Timisoara, Romania. pdf. September 2015, Creative Telescoping via Hermite Reduction, Fields Institute Special Semester on Computer Algebra, Toronto, Canada. pdf. August 2015, Algorithms for D-finite Functions, International Summer School on Symbolic Computation, Beijing, China. August 2015, The Positive Part of Multivariate Infinite Series, DART'15, Beijing, China. pdf. July 2015, Integral D-finite Functions, ACA'15, Kalamata, Greece. pdf. July 2015, Creative Telescoping via Hermite Reduction, ACA'15, Kalamata, Greece. pdf. July 2015, The Positive Part of Multivariate Infinite Series, ACA'15, Kalamata, Greece. pdf. July 2015, Walks in the Quarter Plane with Multiple Steps, ACA'15, Kalamata, Greece. pdf. June 2015, The Positive Part of Multivariate Infinite Series, OPSFA13, Gaithersburg, USA. pdf. April 2015, Gröbner Bases, Theory and Practice of SAT Solving, Dagstuhl Seminar 15171, Dagstuhl, Germany. pdf. December 2014, Desingularization of Ore Operators, FOCM 2014, Montevideo, Uruguay. pdf. 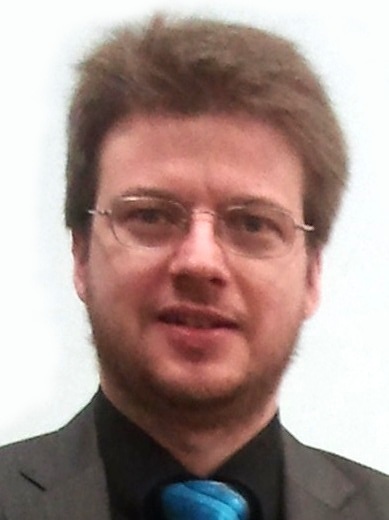 June 2014, Analysis of Summation Algorithms, Analysis of Algorithms 2014, Paris, France. pdf. March 2014, Restricted Lattice Walks in Three Dimensions, Workshop on Enumerative Combinatorics, Mathematisches Forschungsinstitut Oberwolfach, Oberwolfach, Germany. pdf. January 2014, Bounds for Creative Telescoping, CASTA 2014, Kyoto, Japan. pdf. November 2013, Ore Polynomials in Sage, Computer Algebra and Polynomials, RICAM Special Semester on Applications of Algebra and Number Theory. pdf. August 2013, Finding Hyperexponential Solutions of Differential Equations, SIAM AG13, Fort Collins, USA. pdf. April 2013, Finding Closed Form Solutions of Differential Equations, ECCAD 2013, Annapolis, USA. pdf. August 2012, What's new in Symbolic Summation, FPSAC 2012, Nagoya, Japan. pdf. July 2012, Holonomic Closure Properties and Guessing, Talk at the LHCPhenonet Summer School on Integration, Summation and Special Functions in Quantum Field Theory, Hagenberg, Austria. pdf. October 2011, Restricted Lattice Walks and Creative Telescoping, Talk in the Minisymposium on Symbolic Combinatorics at SIAM AG11, Raleigh, USA. pdf. July 2011, How a Hard Conjecture in Number Theory was Knocked out with Symbolic Analysis, Semi-Plenary Talk at FoCM 2011, Budapest, Hungary. pdf. June 2011, The Concrete Tetrahedron, Tutorial at ISSAC 2011, San Jose, USA. pdf. March 2011, Algorithms for Holonomic Functions, Computer Algebra in Particle Physics, Zeuthen, Germany. pdf. September 2010, Inequalities, Seminaire Lotharingien de Combinatoire, Strobl, Austria. pdf. August 2010, The qTSPP Theorem, Conference in Honor of Doron Zeilberger's 60th Birthday, Tianjin, China. pdf. July 2010, Is it really a power series?, Sage days 24, Hagenberg, Austria. pdf. June 2010, The qTSPP Theorem, ACA 2010, Vlora, Albania. pdf. March 2010, The Polynomial Growth of an Operator Ideal, FELIM 2010, Limoges, France. pdf. October 2009, Two Nasty Polynomials with Power Series Solutions, ECONET 2009, Bled, Slovenia. pdf. August 2008, Walking in the Quarter Plane, MAP 2008, Trieste, Italy. pdf. April 2008, Fast Solvers for Dense Linear Systems, Loops and Legs in Quantum Field Theory, Sondershausen, Germany. pdf. April 2008, Pillwein's Proof of Schöberl's Conjecture, Symbolic Real Algebra and Trustworthy Computing, Shanghai, China. pdf. September 2007, A Summation Algorithm for Stirling Number Identities, 59th Seminaire Lotharingien de Combinatoire, Bertinoro, Italy. June 2007, Stirling Number Identities, Methods of proof theory in mathematics, Max-Planck-Institute for Mathematics, Bonn, Germany. pdf. May 2007, Gröbner Bases and Applications to Special Functions, Trimestre on methods of proof theory in mathematics, Max-Planck-Institute for Mathematics, Bonn, Germany. May 2007, Cylindrical Algebraic Decomposition and Applications to Special Functions, Trimestre on methods of proof theory in mathematics, Max-Planck-Institute for Mathematics, Bonn, Germany.